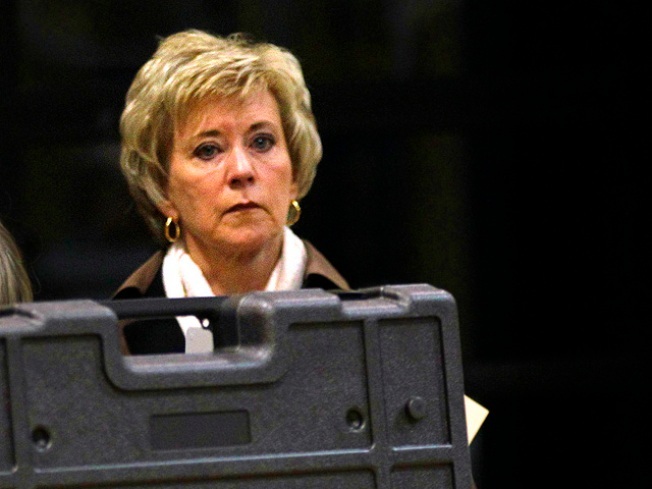 The lawyer who's accused of making a bomb threat at a fundraiser for Linda McMahon's U.S. Senate campaign has applied for a special form of probation, but the local party chairman is not in favor of that. James Byrne, 70, of Madison, was arrested, accused of call police on Sept. 12 and saying, a bomb was about to go off about to go off at the home of Madison Chamber of Commerce President Eileen Banisch and her husband, Republican Town Committee Chairman Tom Banisch, who were hosting a fundraiser for McMahon. There was no bomb. A Superior Court judge set a Jan. 11 court date to determine if Byrne is eligible for the accelerated rehabilitation program, the New Haven Register reports. “If he is eligible, he can be put on probation for up to two years and, if he stays out of trouble, the charges are dismissed at the end,” his attorney, Hugh Keefe, told the Register. Tom Banisch told the newspaper that he will be in court to oppose the program. “The kid at UConn (accused of calling in a bomb threat) was charged with terrorism, and to charge the kid with terrorism is probably appropriate because it is a terrorist act, but then what happens to a 70-year-old white lawyer who knows better? He was charged with something significantly less and he might be given probation,” Banisch said. Byrne was charged with first-degree threatening, falsely reporting an incident and second-degree breach of peace. Byrne was formerly a member of the GOP Town Committee and ran unsuccessfully against Banisch for the RTC chairmanship in 2008. He resigned from the RTC after completing his term in 2009.